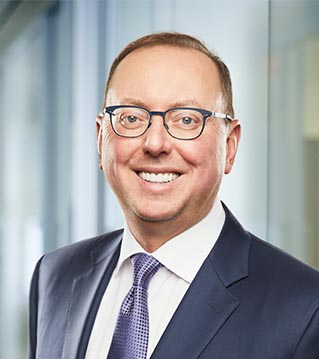 The Alberta Court of Queen’s Bench has once again confirmed that obtaining permission to appeal an arbitration award under section 44(2) of the Arbitration Act, which applies where an arbitration agreement is silent on an appeal right, will be a virtually impossible task. Parties wishing to have the option of appealing their arbitration awards to the Alberta courts should therefore be reluctant to rely upon this section and should instead include appeal rights in their arbitration agreements. As in most Canadian jurisdictions, the framework for appeal of an arbitration award in Alberta depends on the underlying arbitration agreement. Parties can agree that awards may be appealed on questions of law, questions of fact, or questions of mixed fact and law under section 44(1) of the Arbitration Act, RSA 2000, c A-43 (the “Act”). Where the agreement is silent, section 44(2) of the Act provides that, with permission of the Alberta Court of Queen’s Bench, parties can appeal on a question of law. However, a recent decision of this Court in KBR Industrial Canada Co v Air Liquide Global, 2018 ABQB 257, (“KBR”), confirms yet again that a Section 44(2) appeal is unlikely to succeed. In fact, there are only a handful of cases where the Courts of Alberta have granted permission to appeal under section 44(2) and of these cases, not one succeeded on appeal. This is attributable to the stringent requirements for permission to appeal under sections 44(2.1) and 44(3) of the Act, in addition to a public interest requirement imposed in many of the Alberta decisions, including the Court in KBR. Once permission has been granted, there are also difficulties in appealing an arbitral award, but they are outside the scope of this article. For permission to be granted, a court must first find an extricable question of law, a task that has become increasingly difficult following the determination in Sattva Capital Corp v Creston Moly Corp, 2014 SCC 53, that contractual interpretation is a question of mixed fact and law. In KBR the Court found that it will be a rare circumstance where a question of law can be extricated in the context of an appeal under section 44(2). At issue was the arbitration panel’s interpretation of how two clauses in the agreement that contained the arbitration agreement, a set-off clause and a limitation of liability clause, worked together. The difference in approaches between the majority and minority of the arbitration panel on this question resulted in a difference in damages of $15 million. Despite finding an extricable question of law, permission was not granted because of section 44(3), which bars an appeal of any question of law that was expressly before the arbitration panel. This provision is unique to Alberta and applies to all appeals under the Act unless the parties contract to exclude its application. Although section 44(3) was dispositive of the permission application in KBR, the Court nevertheless decided to consider whether the additional requirements of section 44(2.1) for permission were met, and ultimately concluded they were not. This section requires first that the importance to the parties of the matters at stake justifies an appeal and second that the determination on the question of law significantly affects the parties. The Court in KBR started with a review of the jurisprudence, finding that section 44(2.1) creates a “very high standard that most cases will not meet”, requiring “more than a usual impact” that will be “not easily be satisfied”. It noted that while it is “not impossible” to satisfy this standard, it was clear that parties would need to show repercussions more severe or significant than the normal losses that occur as result of an arbitral award. However, the Court went one step further and applied a public interest test in addition to the section 44(2.1) requirements, pointing to the use of this test by courts in the past. It held that on the facts in KBR, there was no public interest in an appeal because the arbitration panel’s award was unlikely to have a wide-ranging impact on the industrial construction industry generally. The Court also noted the commercial sophistication of the parties, whose conscious choice in having their contractual disputes determined through a private arbitrator worked as a factor against them in granting permission to appeal in the case. While a public interest requirement is not unique to Alberta, it is notable that Alberta courts impose this requirement absent statutory language requiring them to do so and despite the fact that section 44(2.1) expressly focuses on the impact to the parties of the arbitration. In contrast, section 31(2)(c) of British Columbia’s Arbitration Act, RSBC 1996, c 55 and section 31(2)(c) of British Columbia’s Commercial Arbitration Act RSBC 1986, c 3, expressly require that the point of law “is of general or public importance”. Given the KBR Court’s application of the requirements of section 44(2.1), the necessity of a public interest, and the bar on questions of law already considered by an arbitrator under section 44(3), we cannot overstate the difficulty of obtaining permission to appeal under section 44(2). It appears that this task may be virtually impossible rather than “not impossible”. The foregoing should sound a caution for commercial parties who wish to have the option to appeal an arbitration award and who rely on section 44(2) to do so. The more prudent approach would be to write an appeal right into their arbitration agreement, such that section 44(1) of the Act applies. Furthermore, parties may wish to consider excluding the application of section 44(3), which can have a very restrictive effect on appeals both under section 44(1) and 44(2) of the Act. 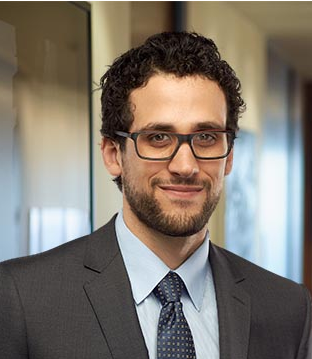 Gino Bruni is an associate at Torys LLP. His practice focuses on administrative, regulatory, environmental law and commercial litigation and arbitration in the energy and electricity sectors. (Link to Bio: https://www.torys.com/people/bruni-gino).